Have you noticed that most of what passes for comedy on the Internet is anger? I don’t mean to denigrate Internet reviewers like the Nostalgia Critic and the Angry Video Game Nerd. I often find their work to be creative and fun. But that doesn’t change the fact that their videos are full of childish tirades and excessive expletives. I noticed that this is a problem when I watched the Nostalgia Critic’s recent video apologizing for his mistakes. At one point, he asks his viewers to calm down when writing their angry responses to him about nitpicky details he gets wrong in his reviews. Here’s a man who is constantly pretending to be violently angry in his videos, and he’s asking people to stop being so mad at him for no reason. That made me realize that there’s a serious disconnect between online content creators and online consumers. The writers and actors are presenting absurd responses to films, video games and other things that shouldn’t really evoke such strong emotions. But people who read their articles and watch their videos seem to miss the point that this is all a charade. 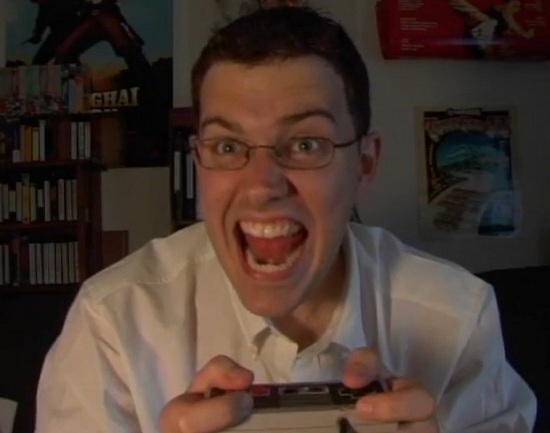 When James Rolfe created the Angry Video Game Nerd (first called the Angry Nintendo Nerd), he pretended to be really angry at Castlevania II: Simon’s Quest because he thought it would be funny if someone overreacted to a piece of hardware. His extreme reaction resonated with video-game fans, and soon he became an Internet sensation. The problem was that fan expectations started dictating how he created his videos. Instead of giving an honest overview of video games, he had to keep coming up with new ways to verbally abuse them. As a fan, I grew tired of his antics after a while because his language was too extreme and his message was always the same: I hate this game! The quality of his reviews has never faltered, but their content is just too grotesque for me to stomach. Many other Internet reviewers face a similar dilemma. Doug Walker admitted in his Secret of NIMH 2 commentary that he doesn’t think that movie is particularly horrible. However, the fans expected him to hate it, so he pretended to dislike it much more than he actually did. Anger seems to sell online. This video made me an instant fan because it struck a chord with my childhood. I wanted revenge on that game, and here was a really funny guy who was taking that revenge for me. I now recognize that it’s childish of me to even harbor such feelings. Eventually I had to grow up and move on. Unfortunately, some people seem stuck in the mentality of being angry at things, and it’s easy for that to switch to hating people. It makes no sense to get angry at objects, but we still do it all the time, whether it’s our car for not starting or a movie screen for presenting a terrible piece of entertainment. We may even detest companies for selling harmful products. As long as hatred is directed at incorporeal entities, it seems to be acceptable. But when it starts to move into hating people who are creating content or products, we start to get into a grey area. I’m all for holding people accountable for their actions, but it’s important to separate people from ideas. Confused Matthew took the time to explain in one of his videos (I can’t remember which one) that he doesn’t really hate Rick Berman, George Lucas or Stanley Kubrick for making terrible movies. When he says mean things to them, he’s venting his frustrations, not truly wishing they would die or suffer for what they’ve done. It’s all part of the character he’s created. But when people comment on his videos and say things far worse than what he’s said, they’re not in character. They’re presenting their own feelings. They may not mean what they say, either, but there’s a disconnect between what they find acceptable for themselves to say and what they find acceptable for themselves to do. The Internet is a place of extremes. Some people who pride themselves on being tolerant and open-minded in their daily lives become strangely intolerant and close-minded when they start typing on a keyboard. I don’t claim to be perfect. I try to recognize my weaknesses and turn them around whenever possible. For example, I used to criticize online writers on their grammar or factual mistakes. I thought I was being helpful, but I came across as haughty. I felt bad for being so critical of people who were taking the time to put their work out in public view for all to see. That takes courage, and I soon began to respect them. I learned that correction needs to be coupled with kindness. People seem to forget that anger isn’t funny in real life. It’s damaging, hurtful and a serious problem. It’s definitely not funny. I hope that as we enjoy entertainment online, we recognize that the anger we take as comedy isn’t appropriate, or even real. It’s parody. The people saying extreme things don’t always mean everything they say. I try to always mean what I say, so you can take my words at face value. I would like to share this as a parting thought: I don’t hate people who say rude things to me, but I feel sad that they feel it necessary to say such things in the first place. I encourage you to think before posting anything online, “Would I say this in public? How would I feel if my children heard me say this?” I think that would help put things into perspective. This entry was posted in Random Stuff and tagged actors, anger, angry video game nerd, castlevania, comedy, confused matthew, doug walker, editing, emotion, funny, george lucas, humor, internet, james rolfe, NES, nintendo, nostalgia critic, online, parody, rick berman, stanley kubrick, star wars, star wars prequels, video game, videos, writing, youtube. Bookmark the permalink. 3 Responses to Is Anger Funny? 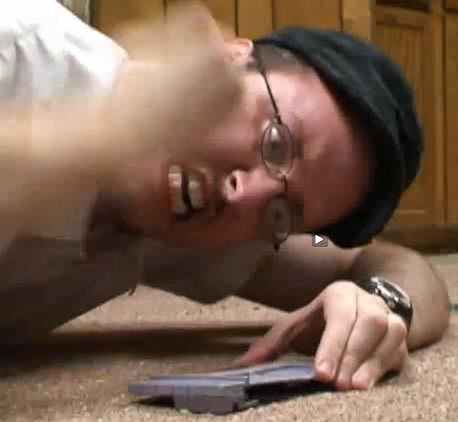 Worrying that The Angry Video Game Nerd and The Nostalgia Critic’s videos are popular because of hate is like saying Grand Theft Auto and other violent video games are leading to crime. Thank you for noting that. I just think it’s interesting to explore people’s motivations behind why they find certain things funny. In one context, anger is extremely damaging and looked down upon, but in another it’s viewed as funny and harmless. It’s definitely a distinction worth exploring.